When it comes to off-roading, the 2017 Ford F-150 Raptor in El Paso is the perfect machine to get you through these adventures safely. Featuring a unique suspension and heavy-duty shocks, this Raptor was built for any type of surface and environment. 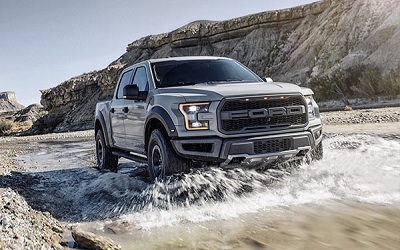 The redesigned 2017 Ford F-150 Raptor in El Paso has an aluminum body that is durable, which makes this truck significantly lighter than previous models. That means you can travel faster and gain the edge on the competition wherever you may be. It has a high-strength boxed steel frame, which is capable of holding up wherever you choose to take this truck. This entry was posted in Business on June 23, 2016 by Domingo.